A 27 year old male died after shooting at a cactus. “Cactus plugging” – the art of shooting a cactus with a shotgun is a popular pastime in the American desert states. 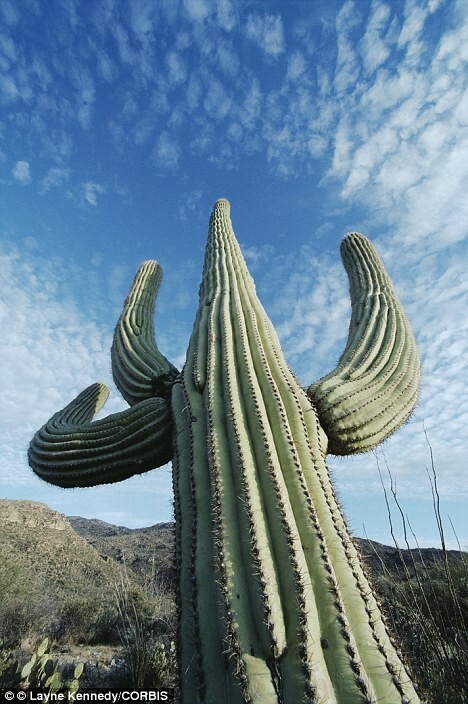 In 1982, David Grundman tried his plugging skills on cacti near Lake Pleasant in Arizona, USA. The first small cactus he fired on didn’t fight back. But when he turned his gun on a 25 foot tall Saguaro cactus, it wreaked revenge. After blasting a large hole in the cactus at close range, a large spiny pice of the cactus fell on him, crushing him to death! Read more odd news stories.